I’m sure I’m not the only one who has been in this predictament. A client a few months ago called me with a problem. He said that his office was across the street from his home, but that because of a decrease in work, he had to cut back on his budget. The first thing that went was his DSL connexion for his house. He figured, since he had DSL at work, he might as well just use that. After a few months of his kids shuttling back and forth between the office and the house, he realised that he was going to need a better solution. The answer? A wireless bridge. Sure you might say that there are plenty of Repeaters on the market, and high gain antennaes, and all sorts of exciting things. But that’s not nearly as fun as reflashing routers :D. For this project I used three routers. Only device I actually bought, I figured if we were going to be blasting this across the street, I might as well get something with lots of antennaes. And I bought into the Wireless-N hype. This one was sitting around the house from the old house network. Version 3 or 4 me thinks. This was the router originally at the office for their local wireless network. If you aren’t familiar with DD-WRT, it’s a community driven after-market firmware for a whole slough of routers. See if you’re deviced on on the Supported Hardware List. If it is, use the link next to the device for specific flashing instructions. Although most are similar, each device’s specific hardware limitations mean they are all slightly different. Although I flashed both of the Linksys routers, you really only need one device with DD-WRT on it. I installed it on mine to give me access to additional features, for example the ability to increase the transmit power on the WRT300N. What we are effectively doing is making a “Wireless Client Bridge”. This means that we are setting up a wireless network, and making another Router connect to it as a “Client”. Then, we’re using another Router to turn this Client into another local wireless network. Now plenty of people are going to say “Why not just configure the Bridge to Repeat as well”. 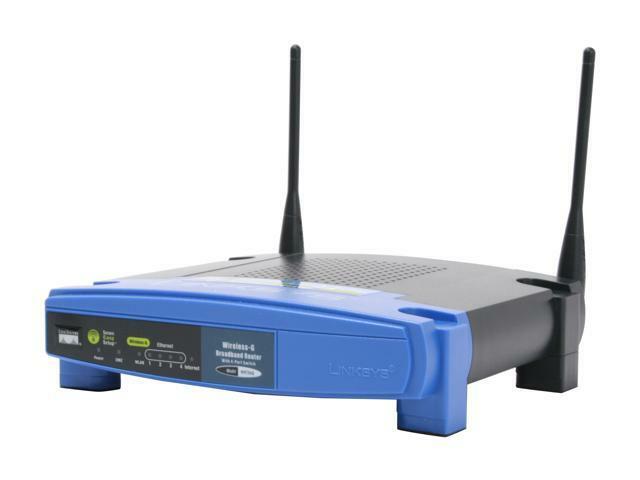 Using a seperate router means you’ll get more range and speed. When using two seperate routers, you have the advantage two radios. Meaning that a weak signal will never become unusable because your radio is working to both receive and transmit packets simultaniously. In the past I have used Wireless Bridging to extend my network, connecting extra rooms, sending a signal across the street to a neighbour. Once you have a Router running DD-WRT, here are three great guides to help you get your router set up in Wireless Bridge Mode. Here, here and here. Once you have your Router connected to the main wifi network, find a comfortable spot for your routers. Somewhere out of the way, with a reliable source of power, and most importantly a good wifi signal. Up high and near windows usually will result in the best results. Once you’ve found your Repeater’s new home. Go ahead and reconfigure the third Router. Configure the “Rebroadcaster” to disable DHCP, and broadcast a new local wifi network, on a different channel and with a different SSID than your other network. This will make sure they will not conflict. If you try to set the network SSID (name) to be the same as your other network, your Bridge Router will attempt to connect to the Rebroadcaster rather than the correct network. This makes a little WiFi black hole. Once you have all of these set up, I always cable tie the pair together, clean up the wires, and run as many packets through as possible. The crazy part about the Bridge Mode with DD-WRT is it’s actually reliable. As long as it has a signal and power, DD-WRT has the great ability to take a beating and come right back. Although you’re never going to get the same speed an reliability of a cabled solution, for web browsing and small file transfer this solution can be the perfect answer for being just a little too far away from your target wifi network.